This review originally appeared in the Illinois Entertainer in 1988. Note the reference to Jason Falkner, who made his recording debut on this album. Afterward, he would go on to Jellyfish and a successful solo career. Lead vocalist Michael Quercio would also perform with Game Theory, Permanent Green Light, and Jupiter Effect. Three O'Clock is the second group from Los Angeles’s storied Paisley Underground to receive a helping hand from Prince. The soul star took The Bangles from cult status to the mainstream by writing their first top ten hit, “Manic Monday.” As the first pop band signed to Prince’s own Paisley Park label, Three O'Clock could experience a similar transformation. That’s not to say Vermillion offers any major changes from Three O’Clock’s previous efforts. Lead singer/songwriter Michael Quercio, along with keyboards player Mike Mariano, drummer Danny Benair, and new member Jason Falkner on vocals and guitar, has continued his quest to recreate the delicate pop sound of 1960s bands like Love, The Left Banke, and The Bee Gees. There is a Prince cover, “Neon Telephone,” which was written under a pseudonym and features his cohorts Wendy & Lisa on back up vocals, plus an occasional nod toward blue eyed soul. Still, it’s likely that Quercio’s ideal woman would be named Penelope or Prudence, rather than Darling Nikki. The only real change of pace comes on “Love Has No Heart,” which features Falkner on lead vocal and successfully ventures into the more modern sound of Depeche Mode and Echo & The Bunnymen. 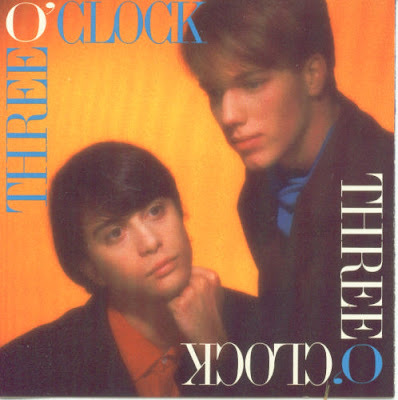 Other highlights, like “When She Becomes My Girl” and “Time's Going Slower,” are more typical Three O’Clock fare, proving the band hasn’t lost its knack for creating catchy pop music.